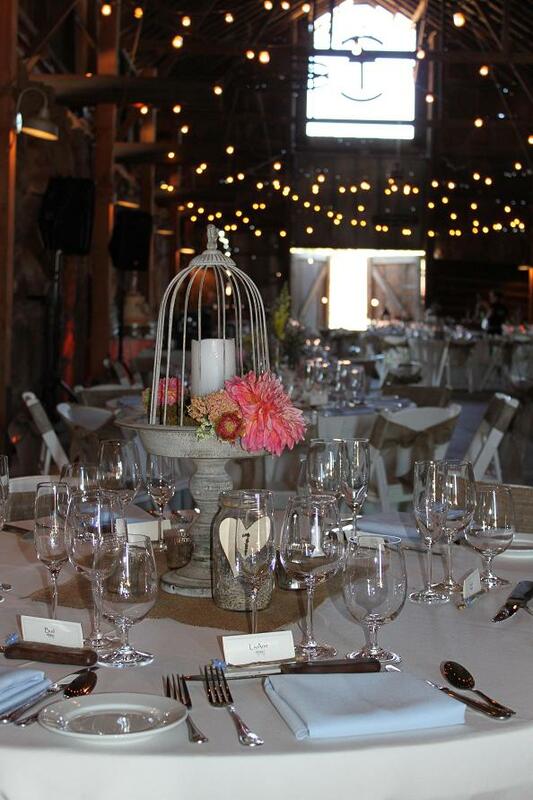 The rustic elegance of the barn at Santa Margarita Ranch creates the perfect ambiance for any gathering. For the wedding of Joe & Kat, it was the ideal place to treat their 100 closest friends & family to a fabulous plated dinner of local organic meats & produce. 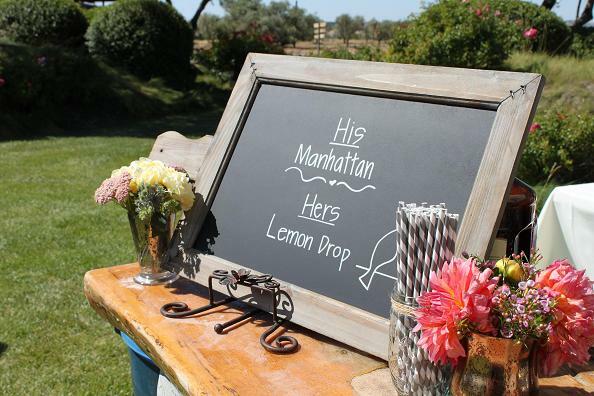 After a sentimental ceremony under the oak tree, guests enjoyed signature cocktails (his — a manhattan, hers — a lemon drop), tray-passed appetizers and a stationary spread of artisan cheeses & breads. 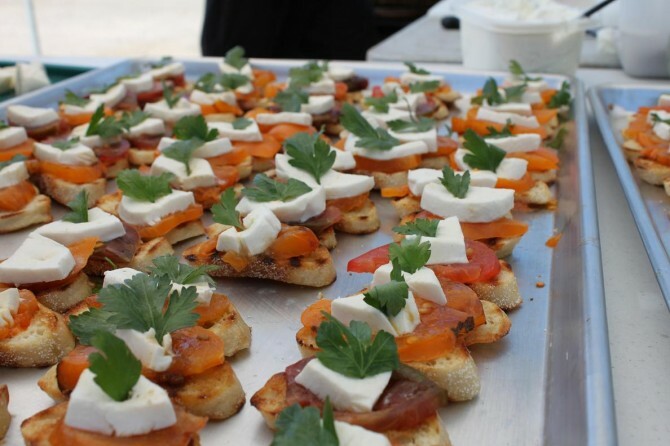 Below is the heirloom tomato bruschetta with fresh mozzarella, basil & balsamic reduction. 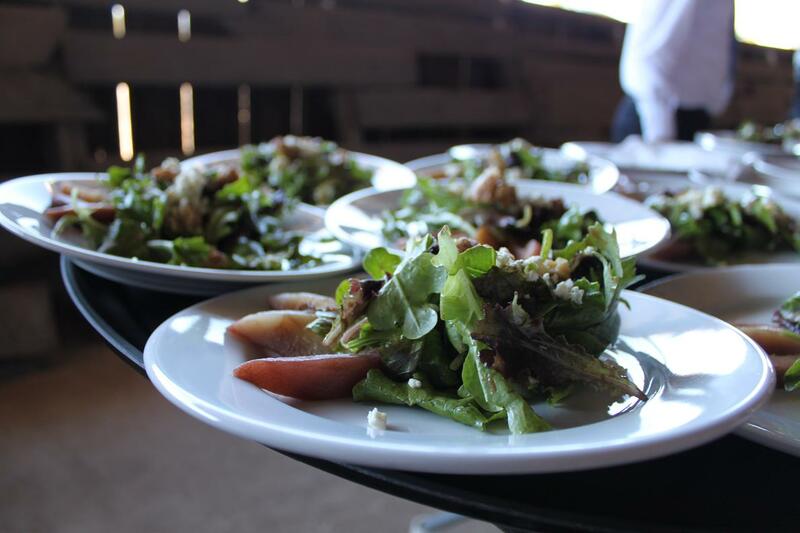 Once guests made their way into the barn, our most popular salad was served — mixed organic field greens, cave-aged bleu cheese, candied pecans & zinfandel-poached pear tossed with a pomegranate vinaigrette. 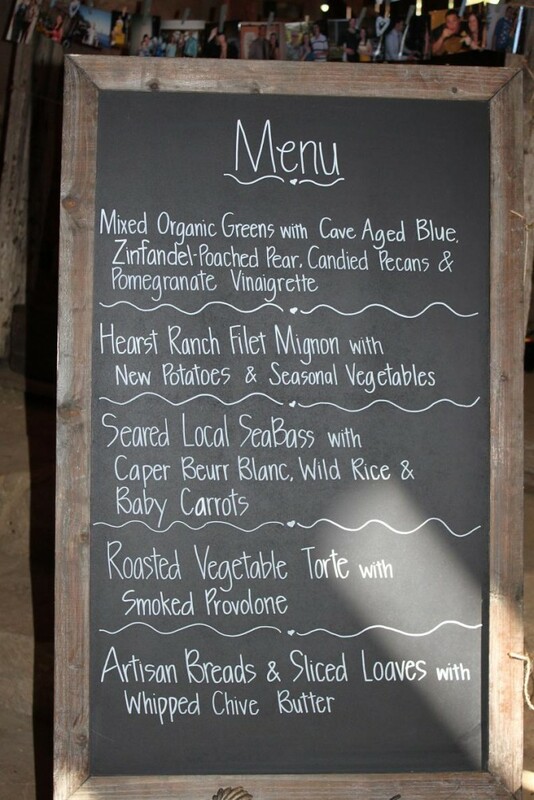 Entrees included Heart Ranch filet, local sea bass & a roasted vegetable torte. 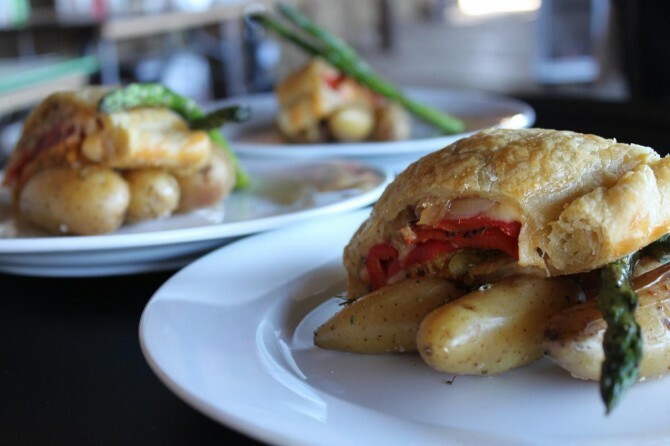 One of the best aspects of this menu is that every entree is awesome & delicious. How could you be disappointed with this vegetarian torte if it was placed in front of you? Layers of farm fresh roasted vegetables (bell peppers, onions, porcini mushrooms, zuchinni, & squash) are stacked under smoked provolone cheese & then cooked to perfection. 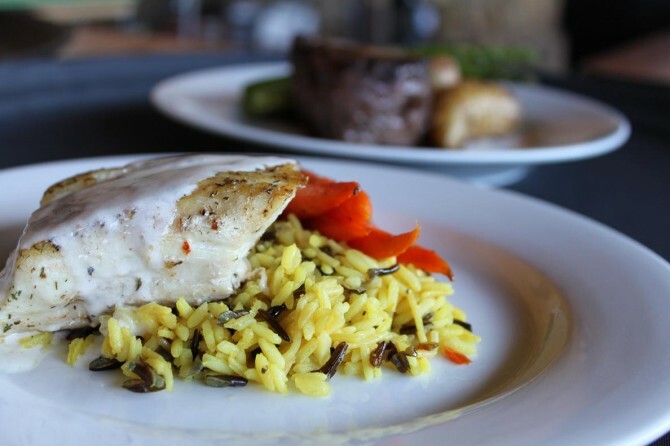 But then, the seared sea bass was fresh off the boat & the Hearst Ranch filet mignon (in the background) was as good as it gets. Simple, fresh, organic, local, and perfect.